Report by I.A. Vasanth B.H. 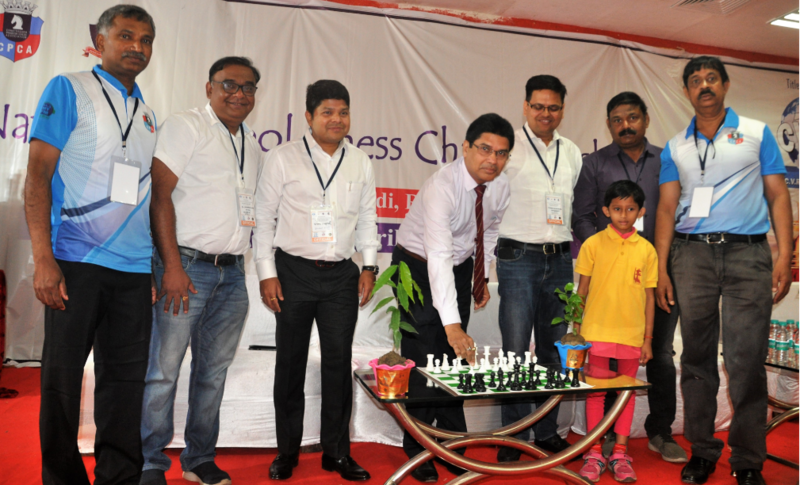 The 8th National School Chess Championship 2019 was organized by Chhattisgarh Pradesh Chess Association under the aegis of All India Chess Federation from 3rd April to 7th April 2019 at Agrasen Dham, Near 36 City Mall, G E Road, Raipur, Chattisgarh. 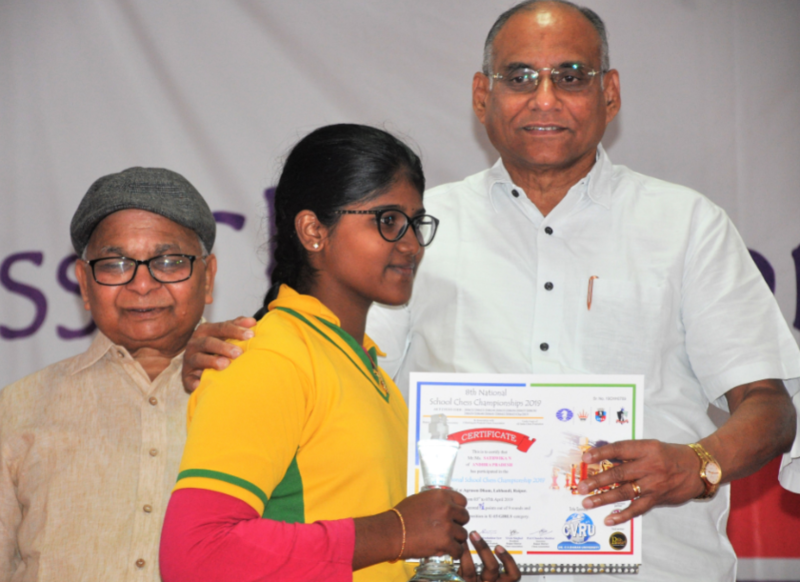 The championship was inaugurated by Dr. R P Dubey, Chancellor, Dr. C V Raman University, Chattisgarh. Mr. Mukesh Singhaniya, President, Chattisgarh Pradesh Chess Association, Mr. Chandrashekhar Iyer, Secretary, Chattisgarh Pradesh Chess Association, Shri Vivek Singhal, President, Raipur District Chess Association, Mr. Peri Chandrashekhar, Tournament Director, Mr. PN Rao, Convener, CPCA were the other dignitaries on the dais. The championship was conducted for twelve categories viz Under 7, Under 9, Under 11, Under 13, Under 15 and Under 17 boys and girls separately. 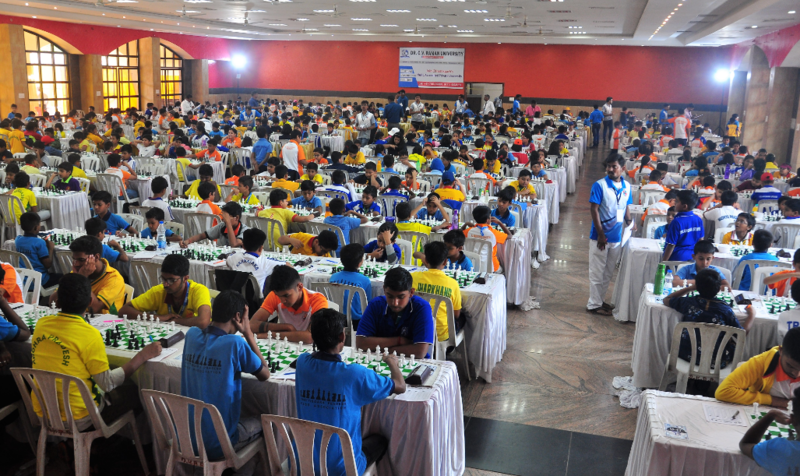 A total of 949 players from 23 states participated in all the events. 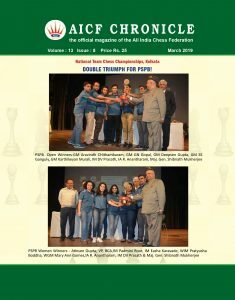 Out of 949 players, 458 were FIDE Rated players and Ayush Sharma from Madya Pradesh was highest FIDE rated player with ELO rating 2061. He participated in the Under 15 open category. Maximum participation, 155 players were from Chattisgarh, followed by 131 players from Maharastra, 127 from Andhra Pradesh, 105 players from Telangana state. 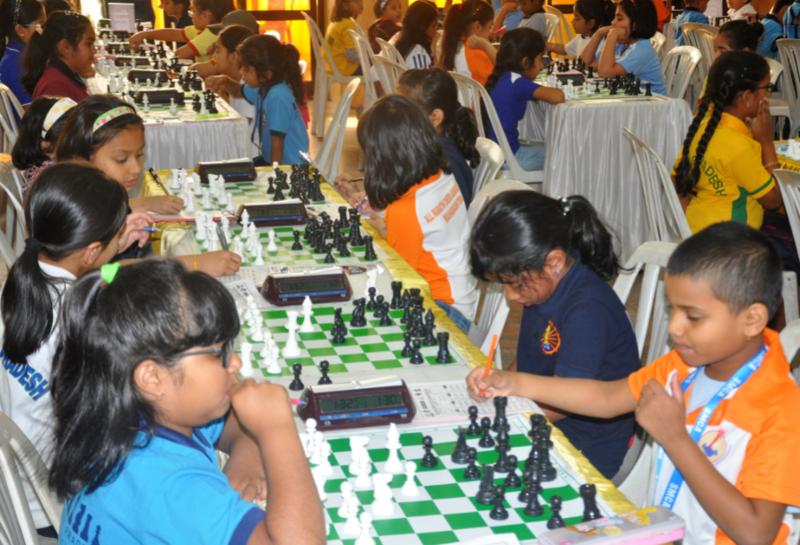 Under 11 open category attracted 160 players and under 9 had 150 players. The tournament was organized in an Air-conditioned Hall and air-conditioned accommodation facility was provided for players and parents near the tournament venue. 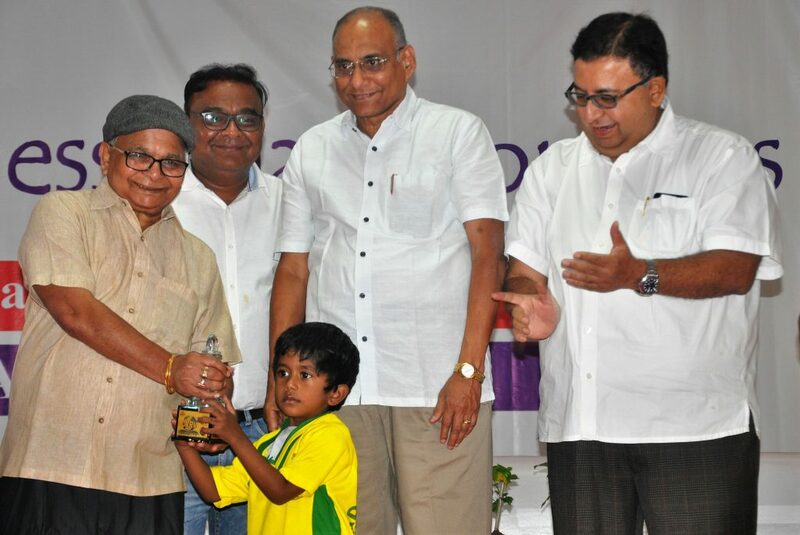 Mr. D V Sundar, Honorary Vice President, FIDE was the chief guest of the prize distribution ceremony. Mr Ravindra M Dongre, President of Asian Zone 3.7, Mr Gaurav Shukla, Registrar, Dr C V Raman University, Mr Mukesh Singhaniya, President, Chattisgarh Pradesh Chess Association, Mr Chandrashekhar Iyer, Secretary, Chattisgarh Pradesh Chess Association, Mr Vivek Singhal, President, Raipur District Chess Association were the other dignitaries on the dais.